Here are some useful hyperlinks and files that will help you become a better Guitarist. Click on any of the pictures below to enhance your playing ability! Need help keeping time? Keeping a steady beat and tempo can be a very difficult task. 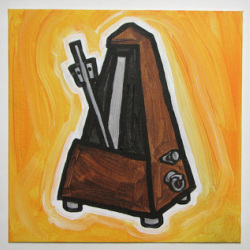 Click on the picture (to the left) and use this free metronome on your computer speakers now! There are many different ways to tune your Guitar. The easiest one to learn is through the use of an Electronic Guitar Tuner. 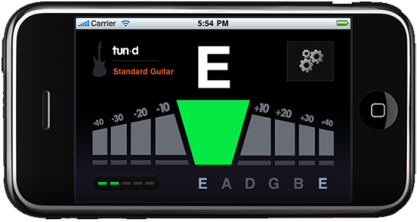 I highly recommend that every one of my students download a guitar tuner on their smartphones. Many of them are free! Click on the picture to the right to watch an instructional video. Restringing a Guitar is a very basic, yet important part of being a Guitarist. This two minute tutorial will show you how to do this in almost no time at all. Click on the picture to the right to get started. Google forms are a great way for teachers to communicate with their students. From time to time Mr. Virgilio will use this platform to gather information. Click on the image to the left to view our current google form. To the left is a chart containing standard jazz Guitar chord voicings suitable for any rhythm Guitarist seeking to perform in a jazz band. YouTube has become a powerful resource for young musicians. 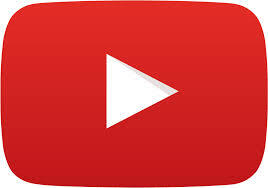 However, there are so many videos online that sifting through them has become cumbersome. Mr. Virgilio has created a collection of quality Guitar videos for his students and organized them into a playlist. Click on the YouTube logo to explore this recommended playlist.